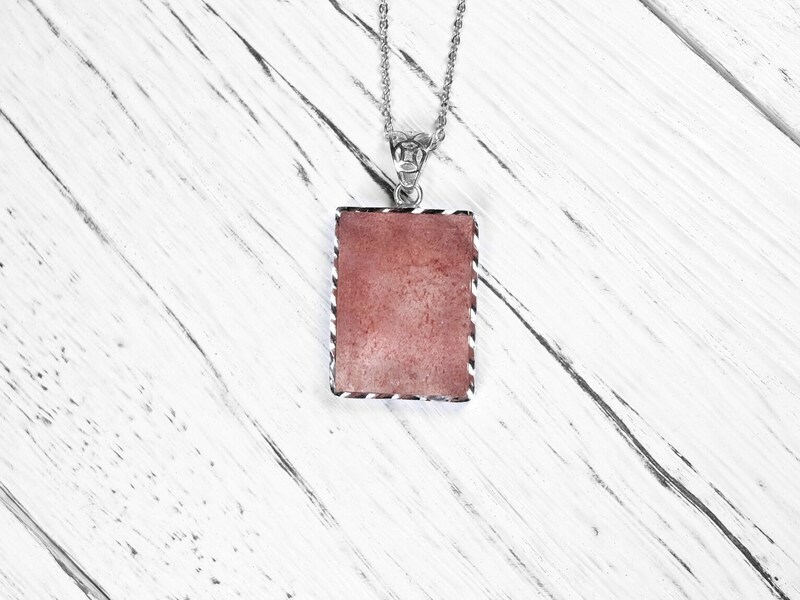 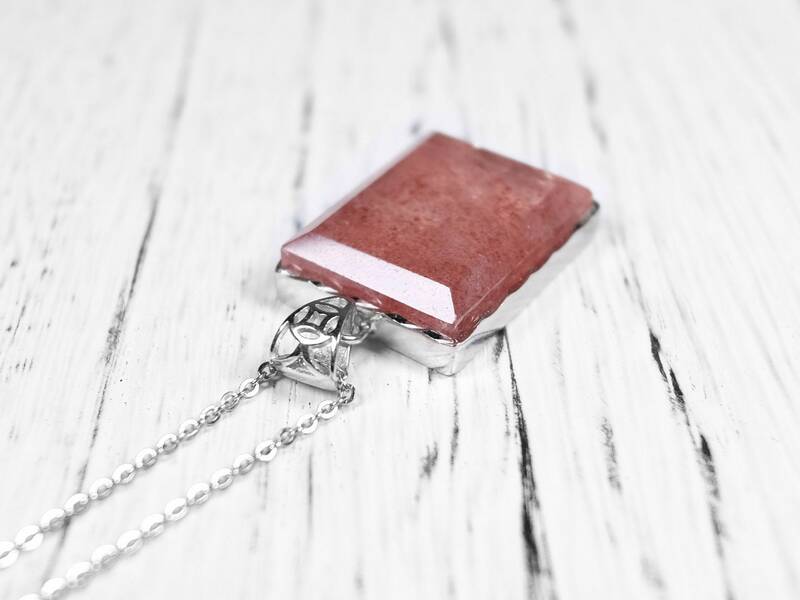 This necklace uses a genuine strawberry quartz that is cut into a rectangle shape. 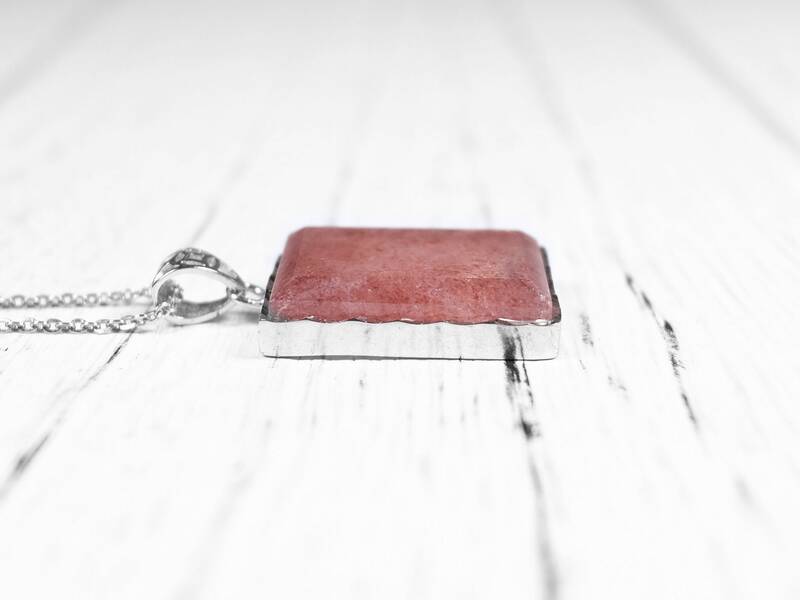 The strawberry quartz used has high clarity with consistent colors. 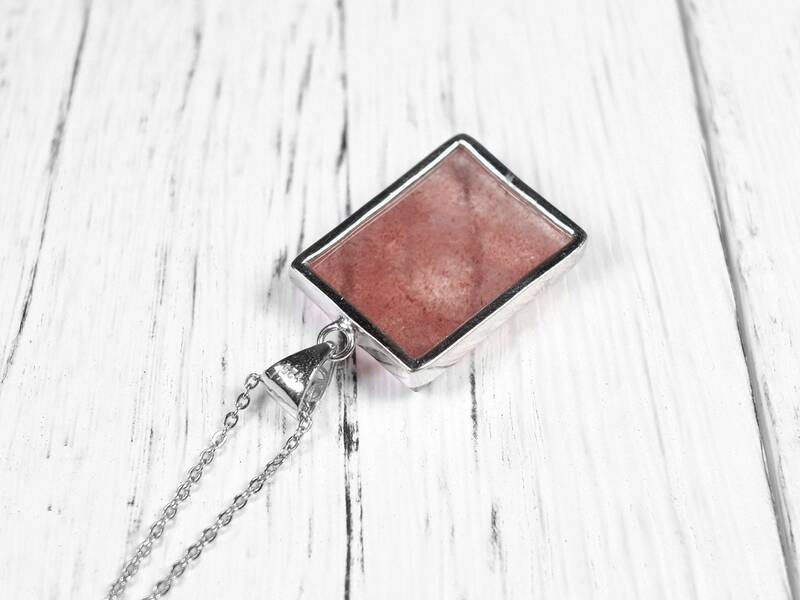 The red inclusions are intricate and scattered throughout the crystal, making this strawberry quartz a high quality one. 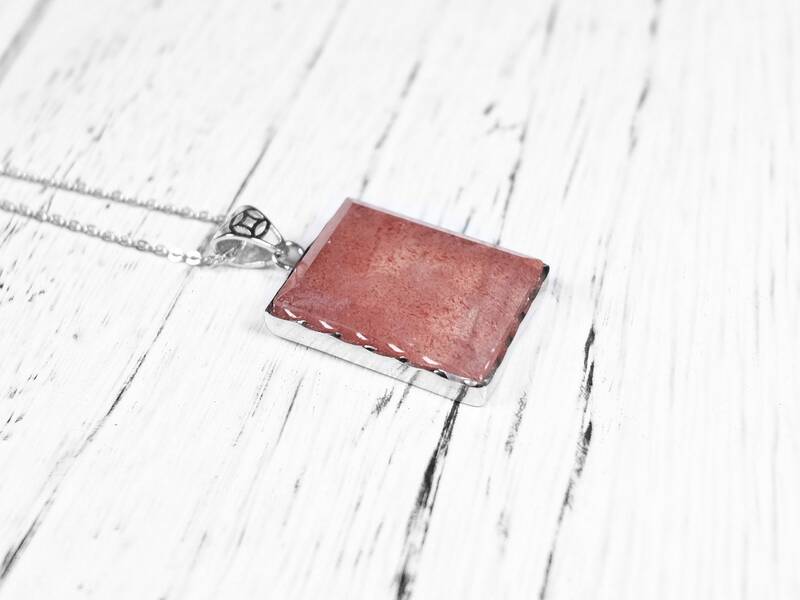 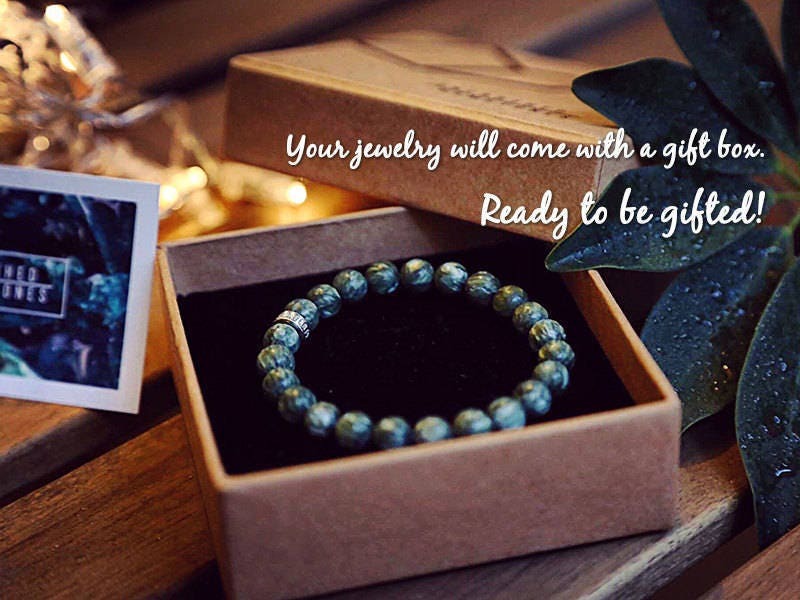 925 sterling silver setting is used for this gemstone. 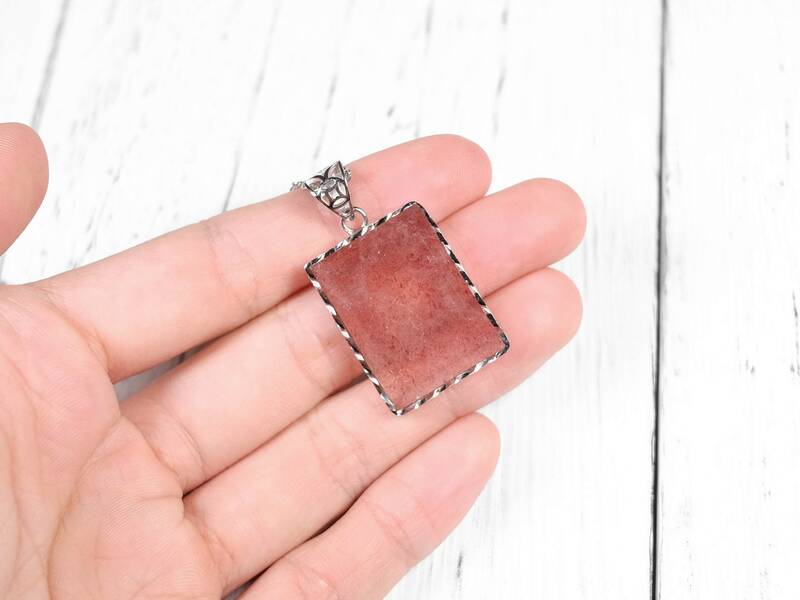 Strawberry quartz is a name given to a rare type of quartz which has brown iron oxide inclusions, which include minerals like lepidocrocite, goethite, limonite and hematite. 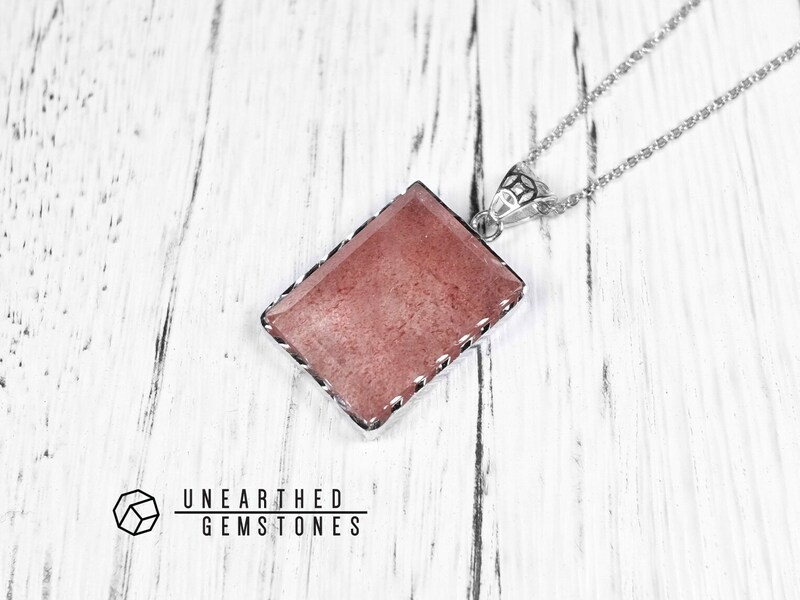 The brown-red inclusions inside the clear quartz resembles seeds of a ripe strawberry. 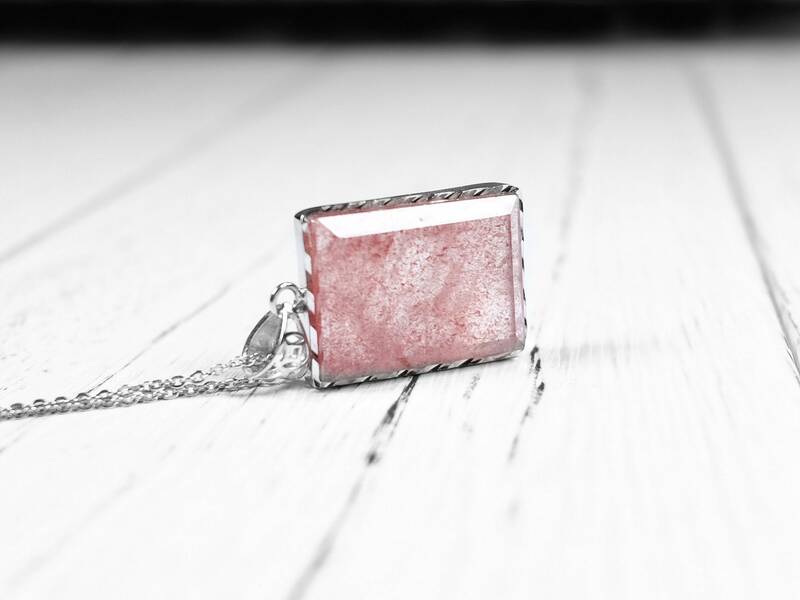 It is one of the few gemstones that has inclusions that increases the value. 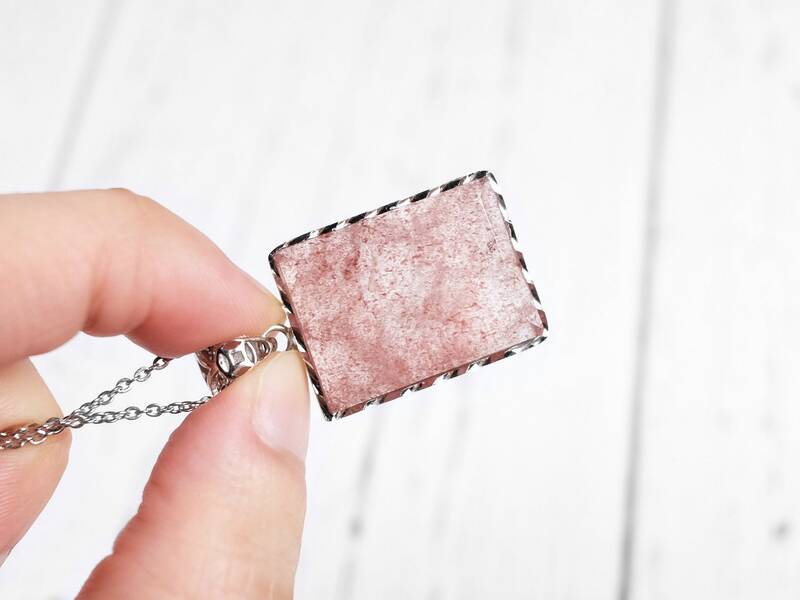 In the market, a lot of red and pink colored quartz under the names like strawberry quartz and cherry quartz are synthetic glass with dyed colors.